It’s Testing Season by me. English yesterday, Math today for juniors. Which meant my classes would be sparsely populated for most of the day. Like in: 7 kids in my 2nd Hour class. Way too few to do a traditional lesson that I’d have to repeat for tomorrow, or else leave my absent retesters to fend for themselves on Direct & Indirect Variation. Time for an on-the-the fly executive decision. Yep. WCYDWT. What is this, 2008? I’m gonna do a ripped-from-the-internet thing and then blog about it? Damn right I am. We keep the Silver Beach Web Cam up on my screen when we’re mathing most days, so my kids are pretty familiar with frozen lakes. I showed them this story on the current state of Lake Superior ice coverage. Currently 75% covered, above average for this time of year but not quite the 100% coverage in 1996. Many of my kids have been to Mackinac Island, so we talked frozen Straits of Mackinac – in the winter snowmobilers can ride across the straits. Also, at this time of year there is a huge Outdoor Pond Hockey Tournament in St. Ignace. I told them I guess they shovel out the rectangles for the rinks, because what are you gonna do, drive a Zamboni out there? I mean, how long would that take? Give me a guess that’s too high. How about a guess that’s too low. Now a Game Show Guess…. They were totally into it. How do I know? The story has gone viral and it’s pretty hard to miss, and none of my kids (in the first two hours anyway) even googled for the answer. Later on when they did, I just said “I’ll come back to you on that” and by that time we were far enough along that I could say “let’s check this guy’s math”. Because juniors love proving somebody wrong. We did all kinds of math. Converting square miles to square feet, minutes to hours to days to years, estimating time to resurface a rink (they googled that later too, which was cool). And we were off by a factor of 10. Came up with 9884 hours or something ridiculous. That “1700 square feet” up there? That’s a problem. Especially since I gave it to them. Dammit. But the biggest benefit of building a culture of curiosity is you get curious kids. “Let’s find the error”. Woah. They didn’t but my next period class did. Which was so cool. The only other tweak was we guessed 10 minutes to do a rink, based on 15 minutes between periods of a Blackhawks game. Turns out it’s more like 7. “Are three minutes gonna make that much difference you guys?” Times 52 million rinks they are, yeah. We adjusted the time to do one rink and hit the number almost exactly on the head. So, a couple of things from today. It’s 2019. It’s hard to get their attention, let alone keep it. I hate being the Cell Phone Police, but I’ve had some long talks with my Lunch Bunch lately about the subject. It’s pervasive. They are close to changing my mind. In the midst of “too high/too low” in one class, my most cynical, blase student shouted out “almost 700 years“, tapped the google app closed and went back to scrolling her snapchat. I could almost see her huffing her bangs out of her eyes in an act of supreme boredom as she said it. But 95 % of my kids were hooked. They were helping each other, checking each others’ calculations, and shouting out intermediate steps. I was just sitting back and watching the magic happen. It was awesome. We talked about how an astronaut once addressed a group of middle school kids in NW Indiana and challenged them to solve the big problems they’ll face as adults. She talked about manned space flight to Mars and the challenges of keeping humans alive in a tin can at 17,000 mph for six months. Think water and bodily waste. Yep, she went there. They’re middle school kids. They ate it up. And when I brought up space in class today, one of my kids’ eyes lit up. She told how she had written a paper recently about our current and future plans for space exploration. I totally ceded the floor to her – her enthusiasm lit up my entire room and did more to make the point than I ever could. A google search isn’t gonna solve those problems. Thinking deeply about solving insanely crazy problems will. The guy who originally did this math and put it out there for the world to see was scared that his math was wrong. Just like high school kids everywhere. Very cool! This kind of thing makes me happy. Three-Act Math continues to be awesome, and the Internet continues to deliver a steady stream of it right to us. WCYDWT is seemingly alive and well, too. Plus the added bonus of the owner of the UP Supply Company replying to your tweet is kind of cool. Can’t promise anything kid, but it’s tempting. Here's a shot of a desolate frozen planet…. We’ve had plenty of false alarms (Mrs. Dull refers to them as “fake news™”) regarding winter weather this year. But the meteorologists nailed an onslaught of Hoth-level cold right on the button. Polar Vortex arrived, just as predicted. For real. Like, it’s so cold we postponed basketball tournament games. In Indiana. Coupled with an overnight/early morning snow on Monday it meant we faced the prospect of 4 days off of school this week. Been there. It wasn’t super-fun. Did I tell you about the year my old district expanded the school day by an hour a day for a month to avoid extra make-up days, and my current district had to create a Saturday make-up day (which happened to be my son’s 18th birthday)? We did get a cool travel mug out of the deal tho, which is nice. We’ve exhausted all our built-in snow makeups. Adding days at the end of the year is a no-go due to the start date for summer school. E-Learning Days. Right here, right now, ahead of schedule. My district is a bit of a late adopter of this trend, but in keeping with our approach to many things, we take our time, research, go to school on other districts’ experiences, then roll out a new initiative. The plan was to pilot eDays this year with a scheduled trial on Election Day, then make up our snow days on the scheduled makeup days as eDays, then roll them out live next school year. We make plans, God laughs. You know how that goes. So facing a no-win on adding more make-up days, we jumped right in this week. Our administrators gave us a heads-up early in the week so no one would be caught scrambling to make eDay plans. Not to worry tho: a quick survey revealed that teachers felt well-prepared to roll out plans for two days this week. High school teachers on the ball, y’all. I split the difference on my two assignments, giving the in-class practice set that I had planned to assign on Monday for Day One, then taking inspiration from the world around me, making a Polar Vortex-themed Desmos activity for Day Two. Set them up in Canvas, scheduled reminder announcements thru Canvas for 7:30 am both days, double-checked my posts, and went to bed. Dawn broke (pretty much literally; it was -20F and we kept hearing these weird cracking sounds coming from outside the house) with me ready to go. But according to a source familiar with the sleep patterns of high-school-aged boys on a snow day, I should not have expected my students to jump right out of bed and start working. 10:55 am. They’ll get around to expanding and condensing logs eventually. Which is fine. The best feedback I got from students on our pilot eDay back in November was “I love that I could do my work in whatever order I wanted, at whatever time of day I wanted. I wasn’t locked into a schedule”. They’ll get there. I’m confident. So meanwhile I’ve got my coffee and I’ve got sun streaming thru my frontroom window and I’ve got twitter open on a tab and a summertime playlist running on Spotify. I’m passing the time making an answer key for my assignment and enjoying videos of folks conducting science experiments. I’m good. I’ve been preparing for this day for over a year. But I’ll be pretty honest – I’ll be happy to be back in my classroom and see my kids face to face on Friday. E-Learning Days are kind of tiring. This has got to be Indiana 105‘s most popular page. Especially at this time of year. It started at 9:30 am. They are now obsessively refreshing the district web page. Due to weather concerns, students @ValpoHS411 will be dismissing early today. Students will have lunch and be dismissed at 12:35. All after school events have been cancelled as well. Be safe and stay warm! It was totally the right call, BTW. The roads were a mess. No one was happier about the closing than my athletes, who got a one-day reprieve from after-school workouts and practices. Which I get. They put in more than their time, daily. Due to @Valpo_Schools early dismissal and impending weather, all school and athletic events have been canceled for this evening. I like a surprise day off as much as the next guy, but man, I wonder how we made teenagers so miserable about school. And I wonder how to fix that. Q4: We want students engaged, but it can't all be fun and games. But still I get reports from students who are underwhelmed, with me and with their other teachers. And maybe that is just the natural state of a 16-year-old. Maybe they wouldn’t tell us if they enjoyed our classes even if it was true. Maybe we wrung the joy of learning out of them a long time ago. Maybe they are scarred for life by school. But: what if they’re not? And what if we as teachers keep taking chances, keep trying to do more than hand out worksheets? I bet you we’d set the whole damn world on fire. And how I’d love to see it burn. I hang around online with a group of runners who call themselves the Sub-30 Club. It’s a group started by University of Florida professor and Runner’s World writer Ted Spiker. Every now and then he’ll throw out a new challenge to himself and invite group members to join in. A couple of years ago it was the 100-day Burpee Challenge. Insanity. I completed it, by the way. So the other day, looking to make a breakthrough in his training, Ted was curious about a set number of burpees for time. Like, say, 25. And the race was on. My baseline. For comparison, one of my local Sub-30 runner friends knocked his out in like 70 seconds, and he’s trying to get under a minute. Ugh. I’m not good. How did that happen? I mean, I know how that happened, but, damn. It’s good to get a check on yourself from time to time. But then, what do you do with that? I know where I want to go. How do I get there? Sixteen years. You’d think I’d have this “Start of the School Year” thing nailed by now. But every year I want to get better. Just like going sub-3:00 for 25 burpees, “Wanting to get better” and “the concrete steps to getting better” are two different things. That’s where EduProtocols come in. I first heard the term when Jon Corippo guested with Matt Miller on the 2017 Ditch That Textbook Virtual summit. He was talking “The Fast and the Curious” and “Iron Chef” and definitely got my attention. I got the gist of it. It sounded like a routine, or a habit of quality lesson design. Eventually, after hearing Corippo again and reading a variety of stuff and checking out some slide decks inspired by his work, I got the implementation piece: “EduProtocols” is how Corippo and Marlena Hebern refer to the idea of a “shell” activity that is student-centered and can hold any content. The EduProtocol Field Guide by Marlena Hebern and Jon Corippo. The authors are up-front right from the jump: It’s not a “read cover-to-cover” kind of book. Unless you want it to be. Then you do you. Otherwise, take what you need now, come back for more later. Good strategy. But I had like two weeks till the start of school when the book hit my mailbox and I definitely wanted to wedge some of my plans into the EduProtocol shell. The book starts with about a dozen “Smart Start” protocols that are designed as ways to start the year (or a new semester). Some are familiar such as the Frayer framework, or a paper airplane design challenge. All are designed to create a culture in your class, and offer tweaks for younger grades. As far as I’m concerned, it’s “The First Days Of School” for the 21st century. One of my biggest struggles every school year is figuring out the Xs and Os of implementing the "big picture" goal I have in mind. #EduProtocols is the "First Days of School" for the 21st century. The following chapters outline EduProtocols that have a familiar design such as the Great American Race or Cyber Sandwich. My math people who are familiar with the Three-Act Task will find a chapter contributed by John Stevens, co-author of The Classroom Chef. The common thread in all of them is the 4 Cs and the use of technology in service of learning. Many of the ideas themselves are not new (go google “Iron Chef” and “jigsaw”) but in particular for teachers in a 1:1 classroom who are trying to get more student-centered, these protocols will bring about that “lightbulb” moment when pondering your lesson designs. Hey, adults can have that “ah-hah” moment too. Corippo and Hebern drop the 4 Cs on a group of principals in the book. Hilarity ensues. As an added guide, each section includes a list of Academic Goals and Teacher Big Ideas to help match up activities with learning outcomes. And Marlena Hebern has helpfully loaded some templates onto her website. It’s a gold mine. Your kids can be Iron Chef-ing or Cyber Sandwich-ing tomorrow. I know for me, it always helps to have a planning partner, a sherpa who has been up the mountain to help me find my pathway to accomplish the goals I have for a class or a year. Over the summer, one of my go-to members of my PLN tweeted at me that the book was definitely worth the money. She wasn’t lying. These EduProtocols will be part of my lesson design toolbox for a long time. Chicago sunset, from the beach at Ogden Dunes. Photo cred: me. I mentioned that I remembered reading once (maybe in this book) that one of Indiana’s most renowned players, a prep, college, and NBA star, used to keep a ball and a pair of basketball shoes in his trunk. That way, if he ever happened upon a good pickup game while he was out and about, he could suit up and play. I began playing pickup ball when I was in grade school and continued throughout high school and college. When I got a car, I kept a basketball and hightops in the trunk so I’d always be prepared if I happened upon a game. — Chris Ballard, “Pickup-Basketball Artist“, Experience Life, April 2014. My friend and fellow parishioner admitted he actually keeps a fishing pole in his car all the time. That way, I’m ready at the drop of a hat. Usually the payoff is an incredible sunset, but sometimes it’s the spring break afternoon with a chair, a drink, and a good book. Or, treating visiting family to an impromptu day with water and sand and sun and a few thousand of our closest friends. All this inspired a late-summer-vacation thought: What are my go-tos in the classroom? What’s in my “go bag“? Honestly, it’s all stolen. Go here if you’re looking for incredible math ideas. I wrote a few years ago about how Themed Bellringers (another, uh, “borrowed” idea) was finally paying dividends halfway thru the year. But all this stuff has to come from somewhere. And, it needs to be planned for intentionally. My beach bag has a blanket, sunscreen, bug spray, a soccer ball, a football, and I keep 3-4 beach chairs in the trunk. The essentials. Same thing the year I was a travelling teacher, pushing a cart from room to room every day all year. I dug a plastic bin out of the garage, and used it to keep my daily needs – whiteboard & Vis-a-vis markers, pen/pencil, hall passes, paper clips, page protectors containing my roster/seating chart, handouts for the day, post-its, a couple of other things, all in one place. So what’s the story this year? There are a couple of things floating around in my head. First, the Algebra Lab class I’ll be teaching. It’s an extra block of support for our struggling freshmen. All of those activities/concepts are designed to get students thinking about math and talking about math and reasoning their way thru problems. That’s going to be the focus of the year, and I want to establish that culture starting on Day One. My job is to match up the activities with the Algebra 1 curriculum map, so that each week we take a deeper dive into the topic they’re working on with their Algebra 1 teacher. And: the occasional opportunity to play. Alternate title to today's #DitchSummit sesh w/@jcorippo , @catetolnai, & @jmattmiller: "How To Save Your Sanity In A 1:1 Classroom"
☑️ What if Teaching Was Like Nachos? (Oh, BTW, that’s “Fast and the Curious”. Sometimes my brain and fingers struggle to get synched up). That tweet was me processing a video convo between Jon Corippo, Cate Tolnai, and Matt Miller from the CUECraft Ditch Summit. It’s a pop-up summer PD program running the week of July 25-29. The guests definitely got my attention when they started talking about ways to engage students in a 1:1 classroom and cut down on the piles of (let’s be honest, kinda worthless, meaningless) papers to grade/provide feedback. Another Miller collaborator, Alice Keeler, is fond of saying anything that can be graded by a computer, should be. I know what she means. There is definitely a need for students to get in some reps with the skills we teach, but there is also (here in the 21st Century) plenty of ways to provide engaging opportunities for students to learn, collaborate, create, present, and get feedback, all in one class period, all without their teacher popping a vein. That sounds like a class I’d go to. So, I’ll order the book. It will be my last “teacher read” of the summer. Anything I can use, I will. Then I’ll pack my teacher Go Bag. Intentionally. “Are we ready to start full speed?” Dave Burgess keynoting Day One of the South Shore e-Learning conference in Hammond, IN, June 6, 2018. Yeah, I know. 2012 was a long time ago. Doing a One-Man Book Club post on Teach Like A Pirate is like live-tweeting an episode of The Office I’m watching on Netflix. But it’s what I’m reading right now and the thoughts are spilling out of my head onto my screen, and for many of my colleagues at the South Shore e-Learning Conference it was their first exposure to this loud, crazy SoCal guy. I wanted to watch the show through their prism, and the experience stirred up some memories. Dave Burgess keynoted a conference I presented at last week. Leading up to the two-day event I went to the library and got his book. Even though I’d seen him outline his TLAP philosophy with Matt Miller on the 2016 Virtual Summit, I was pretty psyched to get the In-Person experience. I still wanted to read the words in black and white. I just finished my 15th year of teaching. I was a pretty by-the-book guy at the beginning. Things have changed since those early years, thanks in part to a lot of reading, a lot of connecting, a lot of trial-and-error. And error. And error. Let’s just say I’ve been trying to get better for a while. Reading Teach Like A Pirate, my mind snapped. I recalled a long-ago online conversation I had with Matt Vaudrey, co-author of Classroom Chef. @MrVaudrey @thedullguy Absolutely!! Creativity isn't a trait you have or don't have…it can be developed. Keep fighting the good fight! 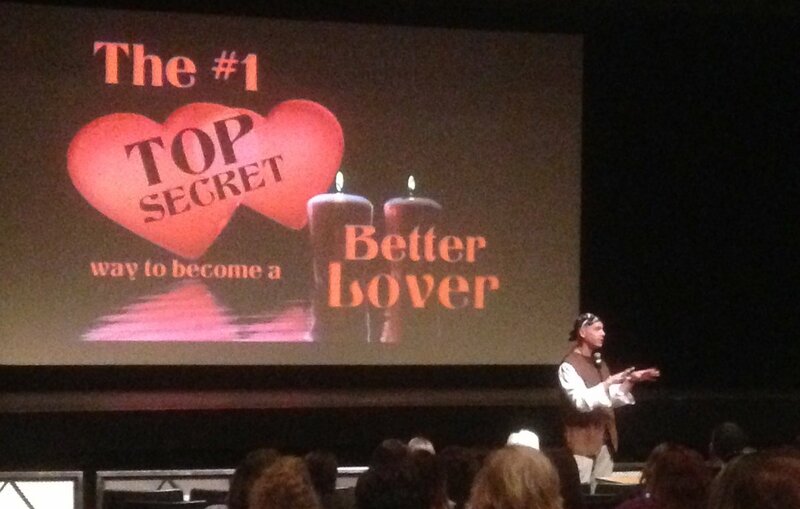 If you’ve read the book or seen the TLAP preso, you know what started my reverie. The Six Words. I remember struggling with classes that weren’t buying what I was selling. I remember spending prep time and after-school time searching for activities and lessons that would get my students’ attention. I remember being amazed at what my fellow math teachers were rolling out to their students. Everything I found online was brilliant and clever and creative. I remember thinking, “there’s no way I could come up with stuff like that on my own.” I remember falling flat on my face many a time. But I remember having success just often enough to keep trying. Which is good, because as one of my favorite UNLV professors used to say, teaching is like being a performer. And you have to nail 900 shows a year. All these years down the line I should point out, she never told us how tough the audience would be for those 900 shows. Or that they’d be able to tune us out with a tiny little computer they’d all carry in their pockets. I’m not a pirate. Not a good one, anyway. But I’m down with Lesson Design. Which, it turns out, once you get past the bandanna and earring, and the grilling analogies, is what “Teaching Like A Pirate” is all about. Intentional lesson design, every time. That’s all. And on the Praxis or in the classroom, it wasn’t good enough. I eventually stumbled across Dan Meyer and the greater MTBoS and started to get an idea of teaching with the end in mind. It’s a concept that Bill Hanlon of the Southern Nevada RPDP introduced to us. It was a unit design tactic he called BAM, but it applied equally to lesson design. Later on I was exposed to Desmos, and then Hyperdocs. All tools for designing lessons from the ground up, thinking deeply about what questions to ask, what I wanted my students to ponder, what tools and resources they would need. I’ve claimed as a class motto for years, “You want better answers? Ask better questions.” Turns out I have common ground with Burgess there too. Then Burgess goes on to include a section with literally hundreds of questions a teacher can ask when planning a lesson, questions that can spark creativity and create hooks to student engagement. Pretty much everyone I know can take two or three or six of these questions and create something incredible in their classroom. Without a single trip to Goodwill. 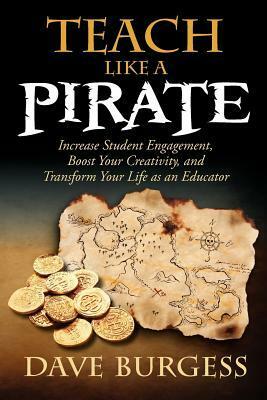 It turns out that once you get past the pirate persona there is a seriously good teacher who is passionate about not just punching a clock, but in creating learning experiences for his students. And Teach Like A Pirate makes clear that there is no secret sauce, except for a willingness to take chances, to accept failure as part of learning, and to recognize that nothing great comes easy. I don’t know about greatness. I’m still trying, still learning. I doubt I’ll ever have a “guest speaker”. But we sing and dance a lot in my classes, get up and move around. Use visual hooks. Stick crazy memes and GIFs in my slide deck. Try new things. Shift on the fly when it’s called for. Maybe I’m not such a bad pirate after all. “What exactly are we doing here?“: the traditional math stack of Algebra through Calculus vs. Burn It Down. Like: Why Algebra II? Is Calculus every student’s Mt. Everest? (Actually, those convos take place online every year at this time, but just like the first time the sunset inches past 8 pm, they catch my attention every time). “What would a year of hands-on truth-finding do for a class of freshman? What mathematical and vocational doors would it open? Since I changed schools and started teaching Algebra II to mostly non-college-bound students two years ago, well, I wonder if all my kids time is best spent on these topics. They vote with their brain cells and their focus of attention during most of the spring semester, that is for sure. My Algebra II finals sucked. Like, way worse than I expected. Nothing like anticipating the final day of school, then encountering a stack of tests that make you want to start a bonfire. In the middle of the classroom. Avg: 44%. There were two actual scores of 0/50. Sometimes I have long thoughts about whether I’m doing this right. Which, well, thinking about that qualifies as a good use of reflective teacher time over the summer. We’re detracking – what’s gonna happen to this group next year when everything gets faster and more in-depth? How do I hook the ones who were utterly disinterested? How do I hook the ones who don’t care if they fail because they’ll “just retake it in summer school or credit recovery”? How do I hook the ones with a really insufficient math foundation? How do I hook the ones who are used to playing the game of school and putting the right squiggles on a piece of paper for a letter grade? How do I get them to think…. I don’t have answers. I mean, if I did, I’d share, right? I do have a lot of time to ponder the questions. Preferably while sitting on a beach or reading a book. Educational or otherwise. Meanwhile, I’m just gonna hold on to a couple things from this year for a minute. Because my summer vacation is here. Coaching is a rough gig. Especially when your successor wins about a million Super Bowls. Image via Yahoo Sports. I get what he’s saying: if you are holding me accountable for the performance of 53 guys, I should get to pick which guys they are. Well, teachers don’t get to pick. But in the right place, they get to pick how they teach. In one of my first conversations with my new department chair (now a district-level administrator) when I hired on, I found out that our department was moving in the direction of classroom -level autonomy. The state decides what you have to teach, yeah, but you get to decide how to do it. I’m a Stuck-In-The-80s loser. Sue me. Use a textbook? Fine. Ditch the textbook? That’s cool too. All about Three-Act Math and Desmos Activities and WODB? You do you. We do a lot of planning as content teams. Our main focus during this school year is detracking. Instead of offering three ability-grouped sections, there will be “Honors Algebra II”, and just-plain “Algebra II” next year. Those are the options, kid. So we’re spending a lot of time figuring how to support our struggling learners in a faster-paced environment. Now, they’re not coming around tomorrow to make a movie. Nobody here is doing anything earth-shattering and disruptive, but it is obviously cool to have the freedom to teach in your own style. Occasionally, monumentally cool things happen. Sometimes, it’s a smaller victory. In classic “happy accident” style, I may have stumbled across something cool this week, in terms of the order in which material is presented for maximum learning. We’re in the midst of a (short) trig unit. Right angle trig, sine and cosine graphs, that’s about it. “Coterminal angles” and “Functions of any angle” gets a drive-by. Law of Sines and Law of Cosines get pushed back to Pre-Cal. There’s probably more emphasis on graphing. But: What if the order flip-flopped? Graph first, then tackle coterminal angles and the general definition of the functions? Maybe with a Desmos activity? I feel like I’ve got to lay a pretty good foundation with the graphs. Maybe, emphasize that the graph is periodical and hits the same value multiple times. I think the visual will help my students grasp the concept that there is a sine & cosine value for all of those degree measures, then we can go from there. My 5th hour response: marginally better. Then I was out Thursday for an all-day curriculum planning meeting (coincidentally). So we’ll see. If the periodic nature of the sin/cos functions take root, I’ve set the table for Friday beautifully. We quickly recapped the sin/cos graph assignment Friday at the outset of class, pointing out again how the graph of the function repeats. I’m guardedly optimistic. Let’s roll with Desmos, huh? We started with a card sort of definitions – letting the students do some word root detective work. They had some mild success at matching words, images, and definitions, and we took a couple of minutes to make sure we were speaking the same language. No problem! I think N/W questions make us stop and think more than if we're not asked to, well, stop and think. Also, I would plan to pause at the card sort to make sure we're all speaking the same triggy language. Thoughts? After a couple more screens where we pondered the cyclical nature of the graphs, it’s time to get to the meat and potatoes. Good news: pretty much everybody could sketch a 135 degree angle. Also good news: most could recall the ratios for sine and cosine. So let’s push the ball upfield. Here’s how to calculate the ratio of any angle. Go. We ran out of time before we could dive deep into the idea of positive and negative values for the functions. Ironically, this activity connected much better with my 2nd hour than with my 5th. But what can I say? Friday afternoon, after lunch, sun shining thru my windows…. At least some of them let their creativity shine thru as well. So, did this little tweak in the order of sections pay off? Not in a fireworks/shooting stars kind of way. I think the visual of the animated unit circle/sine graph was huge. And I think the Desmos activity was an improvement over me standing there and dishing out notes and giving a written assignment. The bigger story is the freedom to re-arrange things in such a way that it benefits my students. Writ large, my Alg II planning group met last week to ponder some options for next year, including SBG, but we also took a hard look at the course from a power standards standpoint. We front-loaded the course with Alg II standards, pushed the trig section back to the end of the year, and flip-flopped a couple of units to get balance between 3rd and 4th quarter. Standards-Based Grading has some folks curious, and is being strongly encouraged, but individual teachers have the option whether to implement it. Sounds to me like as seasoned chefs, a lot of us will be buying our own groceries next year. I feel a little bit like Bobby Flay already. That tweet up at the top is from a former Illinois Teacher of The Year, presenter, and all-around good guy who has an active six-year run streak. The image below is my running log for this year. He ran almost as far today as I have all year. I’ve got six marathons under my belt, 9 half marathons, which I guess would have qualified me as a semi-serious runner at some point. The kind of guy who was up at 4:00 am on school days to train. Not no more tho. To say my fitness and nutrition have taken a nosedive would be an understatement. Too much of the good things in life. Looking at you, Greenbush and Home Run Inn. Speaking of seasons, this is the Season Of Checking Things Off The List. Not big things, just tedious, day-by-day things. Things that have deadlines. Trying to do those things all at once = bad times. It’s got to be a daily commitment. In truth, I should go to school on myself. Every quarter I make two copies of my gradebook printout, one for my records, and one that is part of the required paperwork to turn in at end-of-year checkout. It beats trying to remotely print a million pages on a day everyone is trying to get their stuff done and get out. I wonder if there are other things that I could be doing “as I go”? It outlines the day-to-day actions, and long-term planning that TFA research has indicated leads to “meaningful impact on a student’s academic trajectory”. Nothing in there is proprietary. I think most teachers in examining their own district’s evaluation tool would recognize most of the same tactics. So, even though I’m not a TFA teacher, I’ve had that printout behind my desk for years. Bad habits don’t develop overnight, and good habits need reps to take hold as well. We tell our students that on the daily, right? So maybe the thing to do is to make one positive action toward rebuilding those good habits daily. I’ve committed to getting out to run three times over spring break. And I planned out my entire 4th quarter before I left teh building on the Friday before Spring Break. (Doc here: Term Planning Grid). That’s a good start. So it’s Holy Week and Dyngus Day and then most of a quarter left to go, including all our snow make-up days. Only days off for the rest of the year are Election Day and Memorial Day. It’s a marathon, not a sprint. I gotta train like it. Lace up the Supernovas and get out there. Every Damn Day. Growing up, every Tom Cruise character was that super-confident, super-cool guy that could bluff his way through any situation with quick wit and a smile. Who didn’t want to be Joel Goodson or Brian Flanagan or Maverick? But I definitely also had an appreciation for people who planned every move with military precision. Who could see the downstream consequences to actions that everybody else missed. See: Jane Craig in Broadcast News. So: going by the book, or flying by the seat of our pants? 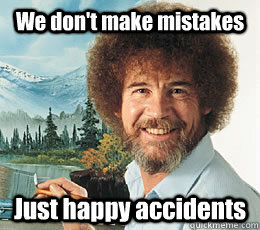 Painting by numbers, or just making some happy little trees? Is teaching an art, or a science? If you’ve been around the game for awhile, you’ve probably concluded it’s both. Joshua Eyler of Rice University turns the question on its head in a 2015 blog post, proposing that “the most effective teaching is that which helps students learn to the greatest extent possible”. So how might we change the art vs. science question to reflect this positioning of learning? Though we’ll have to sacrifice the nicely compact nature of the original, a new version of this question might ask whether achieving a deep understanding of how our students learn (both in general and about our fields) is more of an art or a science. The sorts of collaborations with students that might reveal this knowledge could certainly be called creative and even artistic. I also think there is something of an art to being attuned to students’ individual approaches to learning (or their Zones of Proximal Development) and adjusting our strategies and techniques accordingly in order to ensure we are helping as many students as possible. What about science? I have to admit I’m biased here. As someone who is writing a book on the science of learning, I lean more heavily in this direction. Because learning has its basis in the neurobiological mechanisms of the body, I think science has much to teach us about learning. Learning is also rooted in the social world as well, so the fields of sociology and psychology provide further opportunities for understanding. Brain science and psychology and making adjustments on the fly for what our students (collectively or individually) need at the moment? Yeah, that sounds exactly like what teaching is. “All Of The Above”. That was us a couple of weeks ago. I know the look I saw on my kids’ faces after the logs quiz. It’s never a good sign, but that “I don’t get this and math is stupid and I quit” feeling in February makes for a long last 13 weeks for everybody involved. So I called an audible. I’m hardly the first to roll out this activity. My favorite instructional coach was doing Barbie Bungee before I was even teaching, long before Twitter and Desmos had even been thought of. The great Fawn Nguyen and Matt Vaudrey have raised it to an art form. But I gambled that it would be just the antidote for the Math Plague that was threatening to decimate my classroom. Plus, worst-case scenario, I could justify it (at least to myself) by saying that the linear concepts and DOK 3 activity would be ideal for my students in the weeks leading up to ISTEP re-testing season. I leaned heavily on Mr. Vaudrey, who is kind enough to post his materials for anyone to use, and to reflect on his own lessons so that folks downstream might be able to anticipate the stumbling blocks for their students. I teach in the new STEM wing of my school, in what eventually will be a combo computer lab and build/makerspace. So I had some essential ingredients on hand: measuring tools, lots of space, and plenty of surfaces at a variety of heights. What I didn’t have on hand, I sought out: eight bags of #32 rubber bands at WalMart, and 8 WWE wrestling figures from my son’s collection. Day One I tried to hook them in with an insane missile silo bungee jump, then set them up with a figure, a bundle of ten rubber bands, a data collection sheet, and let them go about the business of jumping. Perfect world: each group of three or four students would have had about 8-10 data points. Reality: most got 4-5. Several got only 3, and one group managed to record only one distance. Those guys are gonna need some extra support. Day Two, time for some estimates backed up by math: How many bungees would be needed to jump off the top of my projector? How far a jump could their figure make with 25 bands? And in one of those glorious moments of teaching, I had set the hook. Students were madly pouring over their data, trying to use it to give legit estimates to the questions. So we dumped data into a Desmos graph, let some groups with few data points share some numbers from other groups (that’s that extra support we talked about), made a trend line, set a horizontal line at 533 cm on their graph, and talked about how many bands they’d need to safely make a jump from the top of our two-story Robot/Quadcopter Arena. Letting Desmos do the heavy lifting to free up brain power for thinking. Quick group huddle to compare numbers, then after a few minutes of table talk I stopped to see each group, ask about how they came up with their number, and (this is key) have them agree on one number, write it down on their page, and circle it. Day Three, the Tournament Selection Committee has announced the pairings, and the teams are ready to jump. Not that I’m craving attention or anything, but yeah, I totally posted the brackets on the window of the arena that faces a heavily traveled hallway. I pre-assembled strands of ten bands to accelerate the assembly process, then students built their bungees and gathered, two teams at a time, on the second floor. We quickly found out that everyone in my 2nd hour class had seriously miscalculated the number of bands they needed. Fig after fig crashed to the floor. Lacking other options, and wanting to avoid the buzzkill of a six-way tie for last, we finally decided the “less dead” fig would move on. The afternoon class seemed to have had some better estimates and we had some competetive matchups, as well as some gamesmanship as some teams attempted to scrunch two or three bands together in their hand on the railing to avoid a figurative skull fracture (high school kids, right?). The extra-long bungees in 2nd hour made a great math conversation starter (“what happened, you guys?”). I used Matt Vaudrey’s feedback form, and found out that Barbie Bungee was a near-unanimous hit. Would this three-day activity had made more sense back in September when we were doing linear stuff? Probably. Would I have had the confidence to step back from the curriculum map for a minute when my students needed a breather if I hadn’t been hanging out on the periphery of the #MTBoS with its brilliant minds and fantastic lessons and activities? No way. Would I have tried Barbie Bungee without being able to follow a well-worn path? Not sure. I’m down with taking chances in the classroom, but I’m not sure I’d have been wise enough to add the Desmos piece if Vaudrey hadn’t blogged about it. And that made the whole project. We’d have been dead in the water, guessing a number of rubber bands for the Big Jump without it. Which means we would have missed the math altogether. What I do know is: my students bought it, real learning happened, we all got the stress relief we needed, and I came out looking like an improv artist taking a prompt and making comedy gold. Brian Flanagan would have been proud. Jane Craig too. Art. And Science. It’s a Both/And.